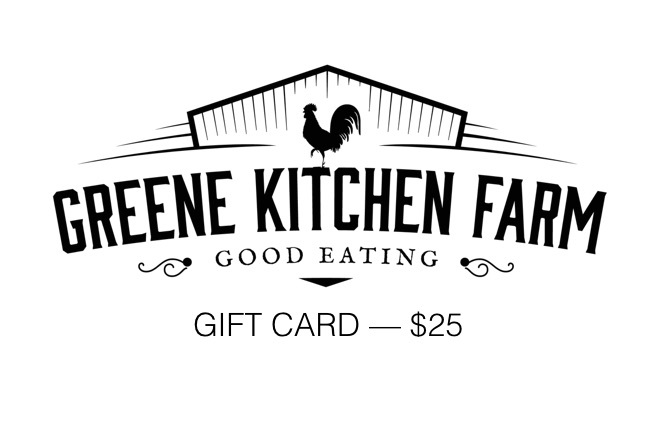 Want to get your loved one started on local, clean, good eating? Consider a gift card from Greene Kitchen Farm. 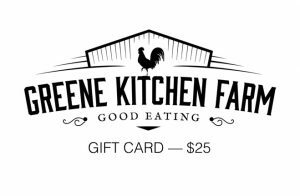 Your GC will be emailed to the address you choose at checkout and can be redeemed for pastured eggs, pastured chicken & turkey, grass-finished beef & lamb, or vegetables.